R.D. Jacobs Company is a leading specialist of force measurement tools and an authorized dealer and distributor of Dillon Force Measurement Products and Systems. Browse our comprehensive online catalog, which includes helpful brochures that are downloadable in PDF form to give you a detailed look at specific products. Whether your force measurement needs require a mechanical force gauge, tension dynamometer, push pull force gauge, or any number of our certified Dillon products, rely on R.D. Jacobs Company. A Dillon tension meter assembles in a matter of seconds, conveniently runs on AA batteries, and fits in the palm of your hand for ultimate portability. 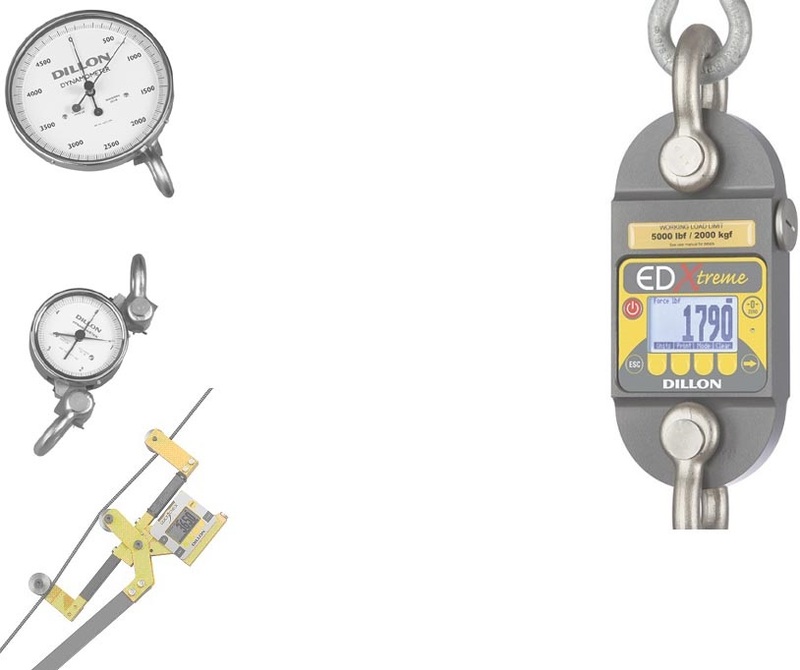 Our Dillon dynamometer collection consists of the EDxtreme and the EDjunior, offering customers an unbeatable combination of accuracy and simplicity. And the Dillon forces gauges available at R.D. Jacobs Company are available in a variety of models, including the Model GL, which is loaded with features commonly not found on gauges in the same price class. Get the tools you need at a price that suits your budget. RDJacobs.com offers the best and highest quality Dillon products available on the market, simplifying your force measurement projects.